Do You Know Where Your Natural Waist Is? Do you know the difference between a waistband measurement and your natural waist measurement? It can be confusing because designers label their sizes with a bit of a misnomer. Clothing labels that call for a waist size in their measurements are actually referring to the waistband of the garment, not your natural waist measurement. 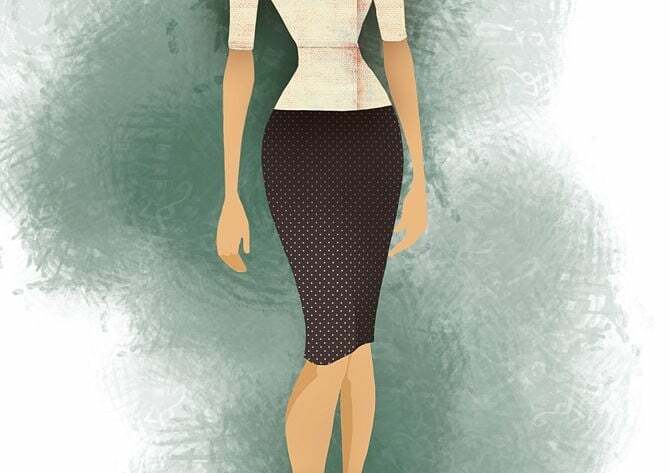 It’s no secret that the most flattering silhouette for a woman is the hour-glass figure. Regardless of your size, your clothing choices should be inspired by this type of figure. Therefore, knowing where your natural waist falls as well as its measurement is essential in finding the most flattering outfits for your body type. 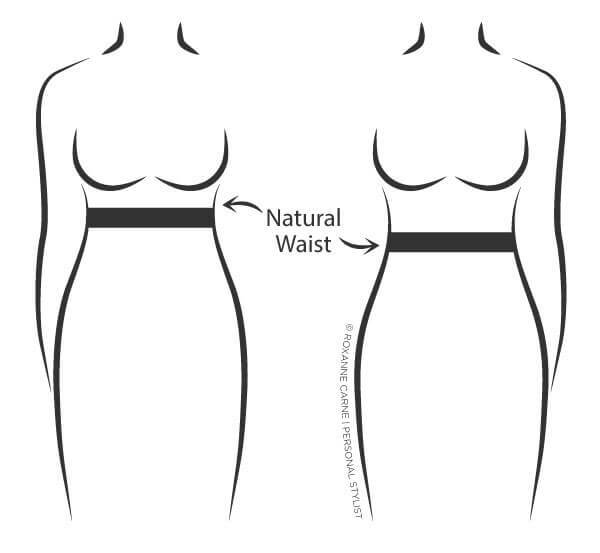 Read more below to discover where your natural waist is! Now, this doesn’t mean that you shouldn’t know the measurement of your waistband area (go ahead and take that measurement too! ), but I just want you to be aware of where your real waist is. Styling knowledge is power! Love this post? Share it on your favorite social media platform below! Ginger, thanks so much for your comment and for stopping by! I’m glad that you enjoyed this blog post! l Love your blog. You give great fashion tips and l’m enjoying your Closet Cleanse Challenge. Still working on it and thank you! Thanks for clarifying this issue! I have seen 3 other ways to measure a waistline. One is at the belly button ( which varies with obesity and weight loss) and the second is at the top of the pelvic rim. The third is to stand in front of a mirror and bend to the side while looking for the point where the indention occurs and measure from that point. I think most people measure at the tiniest part of the waistline. I find that waistbands may help define waistlines over the years by restricting expansion of that area in obesity so for consistency I like using the pelvic rim when measuring and monitoring weight loss clients. When losing weight the belly button can drop as the skin sags creating a hot mess when trying to give accurate account of their success. Sometimes clients will disagree and prefer the natural waistline measurement and some don’t have a waistline at all! Personally, I have an indention left by my waistband from my clothes. My belly fat pokes out above and below this indention which isNot flattering at all! I have lost 90 lbs going from a size 24 to a size 14 but that belly fat and excess skin still are my nemesis. So I appreciate you clarifying what a natural waistline is and showing that it varies per person! If that’s the case, is my natural waist the same as my underbust measurement? That’s the narrowest part of my torso. Hello, Beera! That’s correct! For many women, this is the case. In other instances, there are some women that have no defined waist at any part of their torso, and as such, they are more rectangular shaped.